Cleveland Browns rookie quarterback DeShone Kizer left today’s game with a migraine, he is questionable to return. The Browns had to make yet another change at quarterback, as rookie DeShone Kizer left today’s game against the Ravens. Kizer left with what was being called a migraine, which is a bit concerning considering all of the head injuries that happen in the NFL. Kizer left in the second quarter, after completing 6 of his 11 pass attempts, for 81 yards and an interception. The rookie also had one carry for 13 yards. Kevin Hogan came into the game to replace Kizer, and he led the Browns to their first points of the game, a 23-yard touchdown pass to rookie tight end David Njoku. 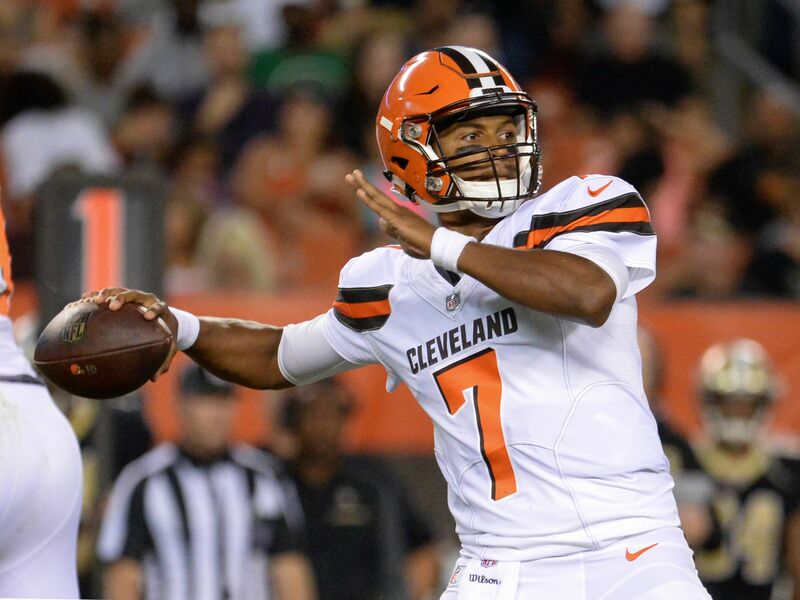 Kizer won the starting job during the preseason, after he beat out Brock Osweiler and Kevin Hogan, which ultimately led to the Browns releasing Osweiler. Hogan got some playing time last season, and flashed a good running ability for a quarterback when he rushed for 105 yards, and a touchdown in the four games that he appeared in. Although Kizer has more long term upside, Hogan seems to have a similar chance of helping the Browns win games at this point in time as Kizer. The hope is that Kizer will be okay, and this is nothing more than just a frustrating head ache. Kizer was selected in the second round by the Browns in this past NFL Draft, after he spent his college days at Notre Dame. With the Browns most likely not competing for a playoff spot again this season, they should be overly cautious with their rookie signal caller. An update will be passed along once we find out more about Kizer’s situation, but at least Hogan got off to a good start for Cleveland.